Here at the River, our preschool program is for children ages 2 1/2 through kindergarten. Our first priority is to lovingly welcome all children to their class. There is time for free play so they can begin to feel comfortable in their surroundings. After free play, we teach the children the importance of worshiping God as we sing songs of praise to Him. Then we tell a beautifully illustrated story from God's true word and teach them an important truth. There is time to play outside as this age needs the freedom to run and play. We follow outside play time with a snack when we will spend time listening to the children share what's on their mind or what plans they have for the day. Then we have a very special quiet time where the children learn to lie still on the floor and listen for God's voice. This is a very peaceful time for the children and the leaders who are praying for each child specifically. 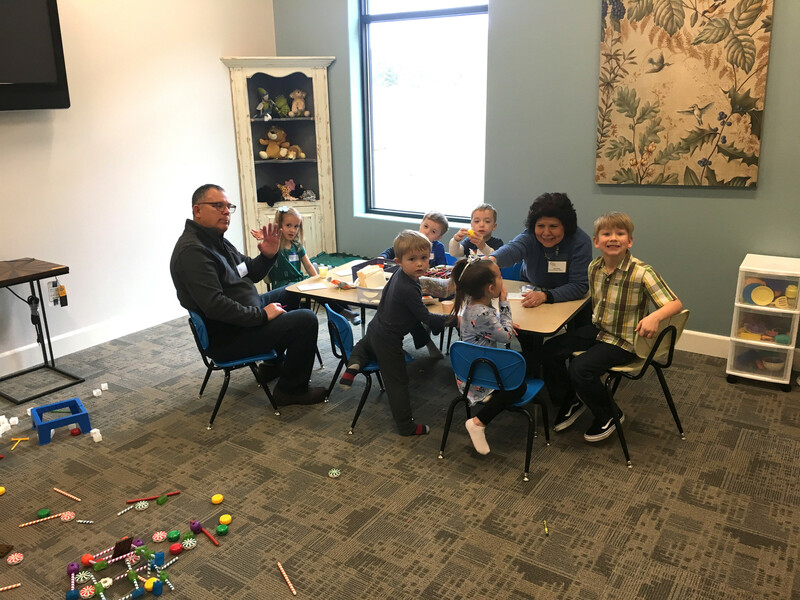 Our goal is for the children to feel loved, to know that they have friends at church, to learn who Jesus is and how to love and serve God, and to leave church with seeds that we hope will grow when they are at home.